With the world press in attendance, Tuesday night April 17th was the opening night of Tina a new musical based on the life of the American living legend rock/soul singer and winner of 12 Grammy Awards Tina Turner. Setting the scene for the abuse she experiences with Ike Turner (Kobna Holdbrook-Smith), the musical opens with 11-year-old Tina (Claudia Elie plays the young Anna Mae Bullock), and her parents (Madeline Appiah plays Zelma Bullock), in a scene which ends with both her mother and father walking out on her. Before leaving her mother tells her she is “too loud”. It is that loud voice which lends itself to her unique sound and success as a music icon and her becoming one of the most influential female artist of the 21st century, selling more than 200 million albums worldwide. Enter Adrienne Warren, the Virginia-born actress in the title role, now 16 years old, Tina has lived with her grandma since her parents left. Gran Georgeanna is played admirably by Lorna Gayle who duets with Warren belting out the first song of the musical “Don’t Turn Around” (written by Albert Hammond & Diane Warren). Tina leaves her grandma and goes back to live with her mother in St Louis and the Ike and Tina story begins. The 16 years of domestic abuse is portrayed unapologetically between the musical numbers. The show features 23 songs from Tina’s back catalogue, which include hits and favourites like “A Fool in Love” (by Ike Turner), “Let’s Stay Together” (by Al Jackson, Jr.; Willie), “Proud Mary” (by John Fogerty) and “Simply The Best” (by Holly Knight and Mike Chapman). There are some violent scenes which gets gasps from the audience as the “demonic” Ike batters Tina again and again. Holdbrook-Smith’s Ike is deceptively charming he draws you in to like him then within a blink of an eye we see a man you would not want to cross. If you have seen the biopic starring Angela Bassett or read the best-selling memoir by Olivier award-winning writer Katori Hall you may know the story of Anna Mae Bullock, born in Nutbush, Tennessee November 26, 1939. Turner gained international fame as a singer with Ike Turner’s Kings of Rhythm prior to recording hit singles with Ike and as a solo artist. Becoming one of the world’s best-selling artists of all time, she is the undisputed “Queen of Rock ‘n’ Roll”. Selling more concert tickets than any other solo performer in history as recorded in the Guinness Book of Records. Directed by Phyllida Lloyd (credits Mamma Mia, Iron Lady) Tina is not painted as a victim instead the heroic woman who overcame racism and spousal abuse to become the icon she is today. It was not until Tina was in her forties that she received the acclaim she deserved. The audience applaud when Tina physically and psychologically fights back and finally leaves Ike. After years of working with Ike she was left penniless as all her wages were paid to him. Starting again with two children was not an easy road. Warren has a way of engaging the audience that channels the stage presence commanded by Tina, casting this actress in the lead role was unmistakably a good choice. Who else? The ex-Dreamgirl and Broadway star takes your breath away song after song, this petite lady has a big voice. I am not sure if they could have cast a better person in this role. If I was to say simply the best and better than all the rest…. 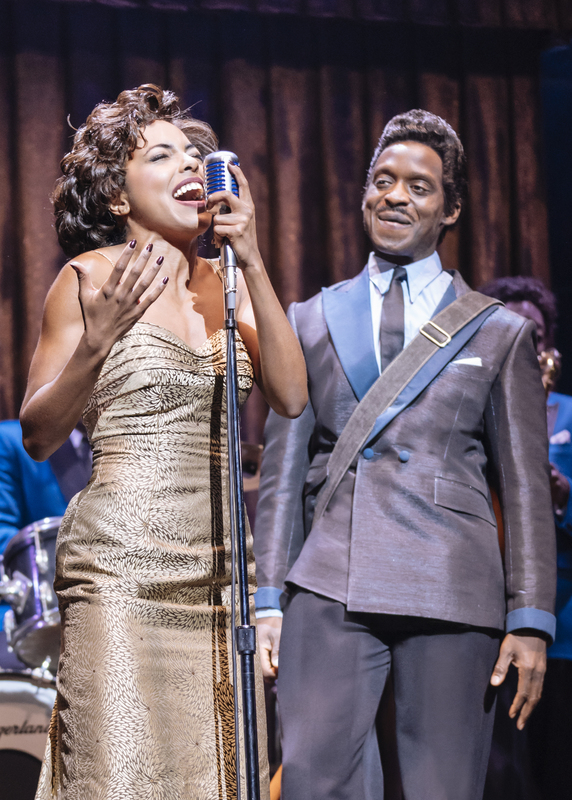 I would not be attempting to sound corny as Tina The Musical is another addition to the West End stage that will without doubt win the hearts of theatre goers and Tina Turner fans everywhere. Tina deserves an encore and standing ovation.